On Friday, 16 January 2016, GBN Nightly News aired a news item Captioned “Foregone Conclusion” in which Barbadian pollster Peter W Wickham, is quoted in the report showering unbridled praise on the 3-year-old administration of Dr Mitchell and all but guaranteeing him victory in the next general election in Grenada whenever it is called. It is of particular interest that this report was released the day following a very successful town hall meeting facilitated by the NDC at which hundreds of persons descended on the Trade Centre Annex to save Camerhogne Park — the only green space left on Grand Anse Beach for use and enjoyment of the Grenadian citizens in the face of the reported decision of the Government of Grenada to hand over the park to a developer so that a hotel might be constructed on the site. Unfortunately, not a single one of the mainstream media, including the one airing Mr Wickham’s story covered this most important event. The timing of the release must therefore be questioned: Was it intended to have the effect of taking some of the Camerhogne Park heat off the government? 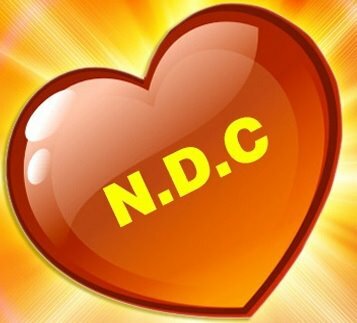 It also must not go unnoticed that the report came 8 days before the annual convention of the NDC on 24 January 2016, at which a new executive was going to be elected. As a national political party, we remain ever mindful of what our enemies are trying to do. We are aware of some of the sinister plans that are being hatched in order to derail our program but will say no more on this at this time. At the outset, we must make it abundantly clear that we respect Mr Wickham as a pollster and hold no personal or professional grudges against him. In fact, had it not been for one reason we would not comment on his opinion on the Grenada political situation. However, recognizing that erroneous and reckless statements and innuendos, no matter how unjustifiable, can and will be taken as the whole truth when left unanswered, we have come to the conclusion that some of the conclusions reached by Mr Wickham must be seriously questioned. First of all, the report indicates that NNP stands a good chance of winning most, if not all of the seats in the next General Elections. Now, elections in Grenada are not constitutionally due until 2018. In fact, it can be as late as [25 June] 2018. Does Mr Wickham already know the date of the next general election in Grenada? How does he know? Was he told the date by the man who has it in his back pocket? If not, how could he be calling the result more than 2 years before it is due? Is this normal? Or does Mr Wickham possess some supernatural powers? Second, Mr Wickham opines that since the return to office of the NNP, there have been considerable investments in Grenada? What are these investments to which Mr Wickham refers? Where are they? In which sectors of the economy have these investments taken place? What jobs have been created by these investments? Is Mr Wickham aware that in his 2016 Budget Presentation, Dr Mitchell publicly acknowledged that unemployment is rising in Grenada? One is forced to ask: How does Mr Wickham know that Grenadians will soon begin to feel the benefits of the SAP? What are these benefits? Which Grenadians are going to feel them? Would that include the families who have lost their homes? Those who have lost their jobs? Those who have been forced to close their businesses? Moreover, is it really true that Grenadians “warmly endorsed” the Structural Adjustment Program? Which sections of the Grenadian people warmly endorsed the program? Did that include the Public Workers who had to take a 3-year wage freeze and suffer the indignity of being deprived of their increments for the past three years? Did that include those Grenadians who had to face up to the 28 new taxes, charges, levies, duties and fees that were introduced by Dr Mitchell and the NNP under the SAP? Did it include those Grenadians whose disposable incomes were reduced by some 23 % as a result of this program? Again, Mr Wickham says that taxation measures are going to be reduced. Does he know something the rest of us don’t? How does he know this? Did Dr Mitchell tell him so? Is he a part of Dr Mitchell’s policy team on the Structural Adjustment Program? Does he work with the IMF? Is he involved in any way in the implementation of the Structural Adjustment Program? What is the source of this knowledge? And even assuming that Mr Wickham is right and taxes will be reduced, can he assure us that this would not just be a gimmick to win the election and then raise the taxes again after he wins the election, taking us right back to square one? The answers to these questions would be most helpful in assessing the merits of Mr Wickham’s opinion. And then, of course, is the oblique attack on Nazim Burke. According to the report, Mr Wickham questioned the ability of the Mr Burke to successfully lead the NDC into the next general election given that Mr Burke was unable to win his seat in the last election. Here again, one is forced to ask: Who is that individual that should be leading the NDC that is not now a member of the parliament? Has he anointed someone for the job? Does Mr Wickham believe in democracy and the prerogative of a political party to democratically choose its leader? And when he says that the NDC made a fundamental error in that it persisted in going into the last election with a leadership that was clearly not working out what exactly does he mean? Is he saying that the NDC should have gotten rid of Tillman Thomas as leader of the party before going into the 2013 general election? If so, why? And whom is he saying should have replaced Tillman Thomas? And when he says that Nazim Burke does not necessarily have the stuff that people are looking for what does he mean? Is this merely a chemical reaction on the part of Mr. Wickham? Who are the people he is referring to? Are they from Grenada? And what is the stuff that these people are looking for? Is Mr Wickham’s view that Mr Burke is not the right person to lead the NDC into general elections based purely on the fact that Mr. Burke does not now have a seat in the Parliament? Is he suggesting that once you lose a seat in an election you can never regain it? Are there not members of the ruling New National Party who lost their seats in the 2008 election and regained them in 2013? Why is it so different for Mr Burke? Does Mr Burke not have what it takes to manage the affairs of this country? And if he does, and he can regain his seat, why should he not lead his party? If an honest and objective assessment of Mr Burke’s position is made could we not say the same and more about him? Does his political future not look brighter? He is the leader of the main opposition party in Grenada. Was he not a Minister in a previous administration? He served as the Minister of Finance, Planning, the Economy, Energy and Cooperatives. He served as the de facto deputy Prime Minister during the term of the NDC. Do people see him as a future leader of this country? Only the Grenadian people must decide.